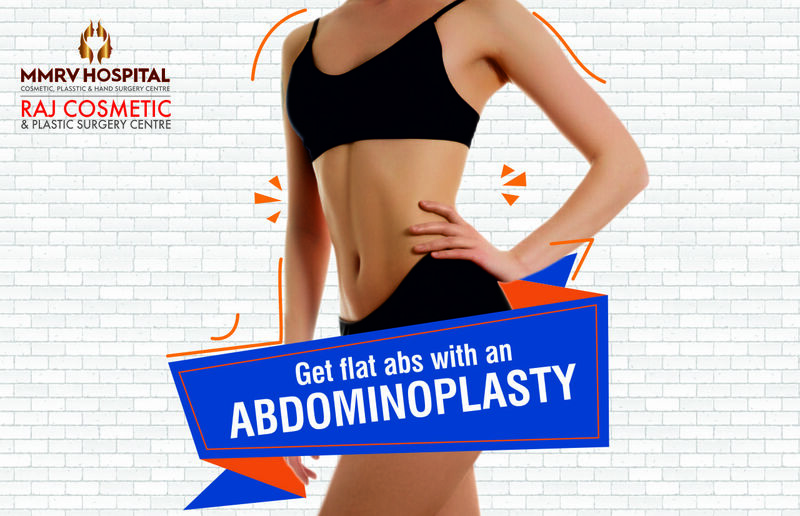 Get flat abs with an Abdominoplasty. Flat abdomen is everyone’s dream. But it may seem a distant one when diet and exercise don’t help. Making this dream a reality is Abdominoplasty. Abdominoplasty, commonly known as Tummy Tuck, is a major surgical procedure and has to be performed only by a qualified medical professional. Tucking away unwanted fat and skin. Abdominoplasty is ideal for women who have had multiple pregnancies and for men and women who had been obese and had lost a lot of weight, but still have excess fat deposits or loose skin around the abdomen. It is not suitable for women who wish to get pregnant, who are planning on going for weight loss programs and who have any medical condition that are contraindicated. Abdominoplasty can take between one to five hours and may require overnight hospitalization. General anaesthesia is administered so you will sleep through your surgery. During the surgery excess fat and loose skin are removed. The vertical muscles of the abdomen are tightened. Complete abdominoplasty and partial abdominoplasty are the options available. The surgeon will decide on the type of procedure depending on individual patient needs. Strictly follow your doctor’s instructions for a complete and event free recovery. Quit smoking, eat healthy meals, wear loose and comfortable clothing and take time off work to hasten healing. Full recovery will take a few months. But once you get there, you will love the new you.